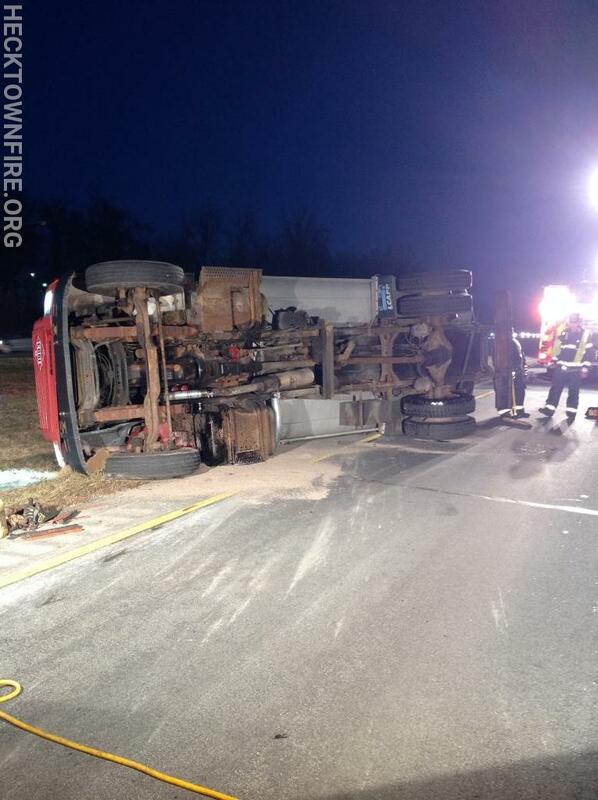 The HVFCo, Palmer Municipal Fire Dept, and Bethlehem Township EMS were dispatched to an overturned tank truck in the area of the route 248 interchange on Route 33 North. 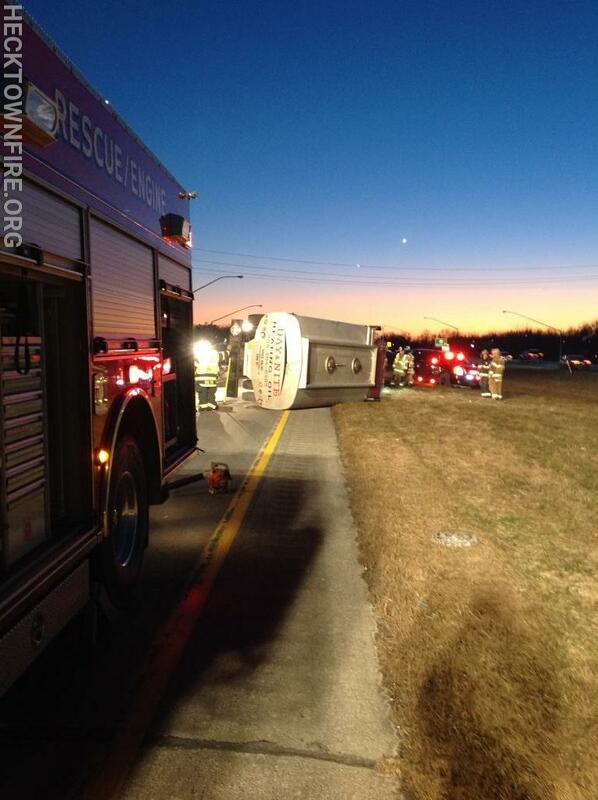 Multiple callers reported a truck on its side with the driver injured. 5351 (Chief Seip) arrived on scene and confirmed the dispatch. 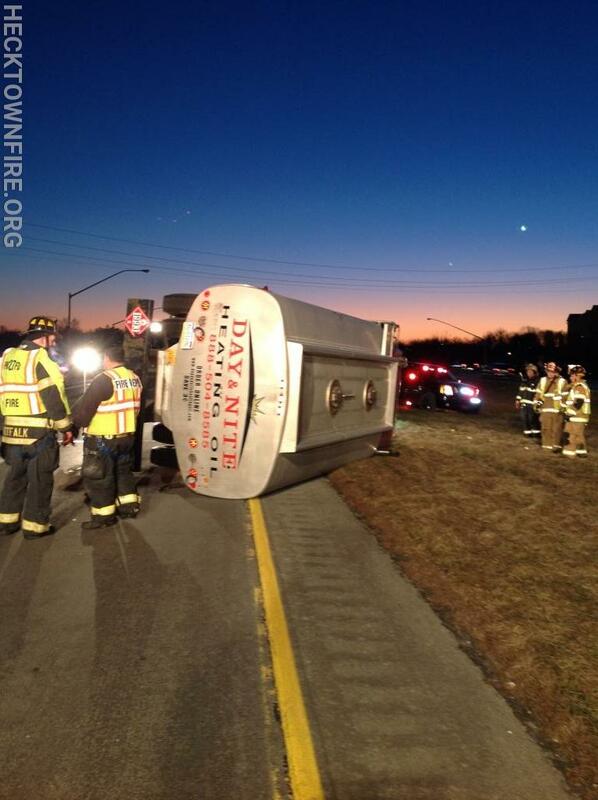 A single axle heating oil delivery truck was on its side blocking the northbound passing lane with the driver still inside. 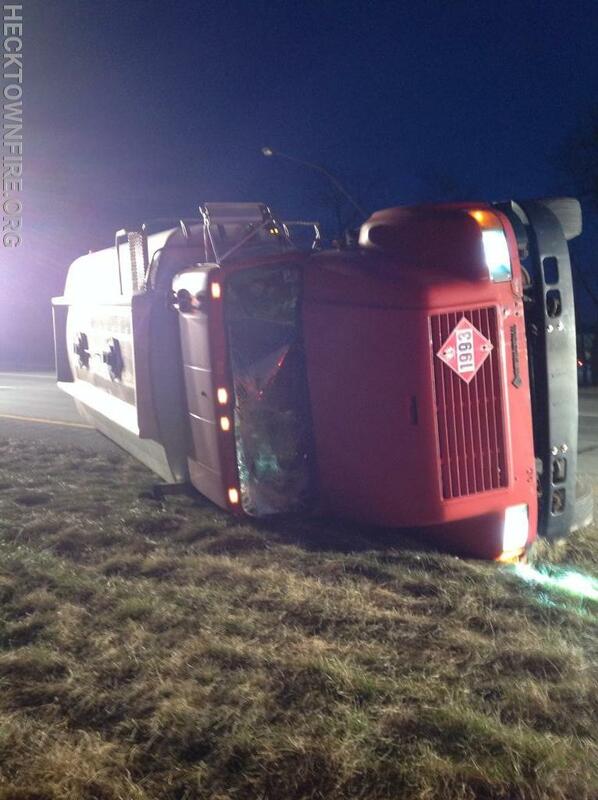 5351 and PSP removed the windshield of the truck allowing the driver to climb out of the cab. It was confirmed with the driver that the truck was empty and there was no loss of product from the vehicle. 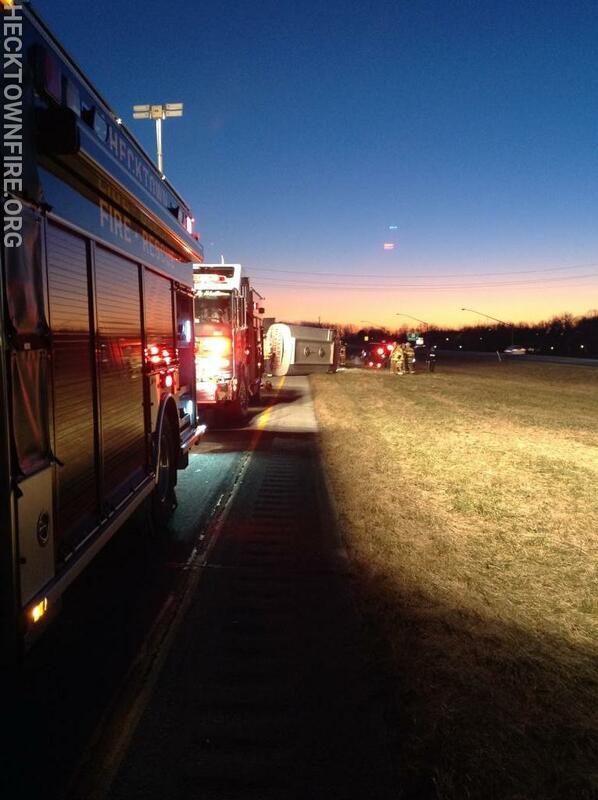 PMFD Rescue Engine 2713 arrived on scene and assisted with fluid control and traffic. Rescue Engine 5312 (AC Hinkel) and Rescue 5341 (Capt. Suhr) arrived and provided lighting, and assisted with scene safety. The driver was transported to a local hospital by EMS 17.